Today I can finally start a series of posts for a super fun project I was secretly working on the past few weeks. A super sweet friend of mine, Dayle Lang, is getting married and I had the honor of creating her bridal shower invitations, some party favor decor and a little extra surprise specifically for the bride. 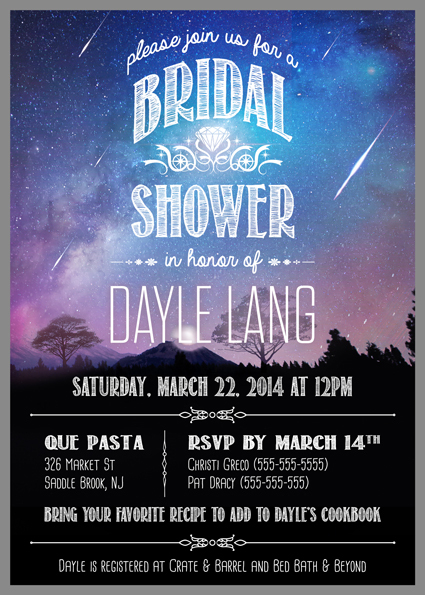 When the bridal party contacted me in regard to creating Dayle’s shower invites, I was super pumped! We all knew the Dayle’s not a frilly, pink-with-lace type of gal so nothing like that was appropriate for this occasion. After the bridal party did some brainstorming, they came up with a pretty awesome theme – a galaxy! I knew it was a great idea as soon as I heard it. They weren’t talking about about large planets with rings, five-point stars or rockets bursting into outer space. This was more about supernovas, shooting stars, meteors, and those beautiful collisions of purple, blue, black and grey colors. Seriously, just spectacular! As I was searching around for inspiration on the entire theme, I released what I was looking for just didn’t exist. We wanted to METEOR shower the bride. 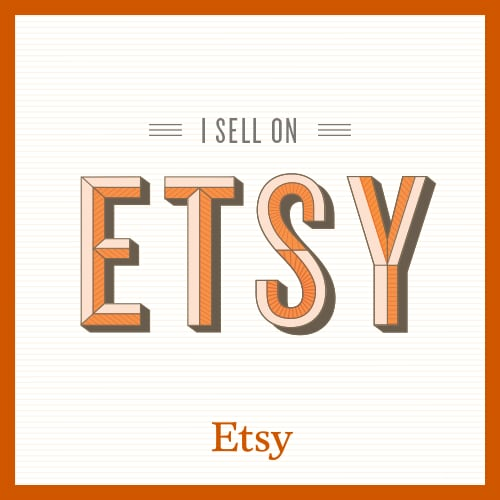 With some great inspiration in fonts and styles from Etsy and some color research on Google – I recruited a volunteer/employee (aka my awesome husband) to do some photoshop magic for me. Here’s the collaborative result: Notice the shower in the background? Yep, totally planned. 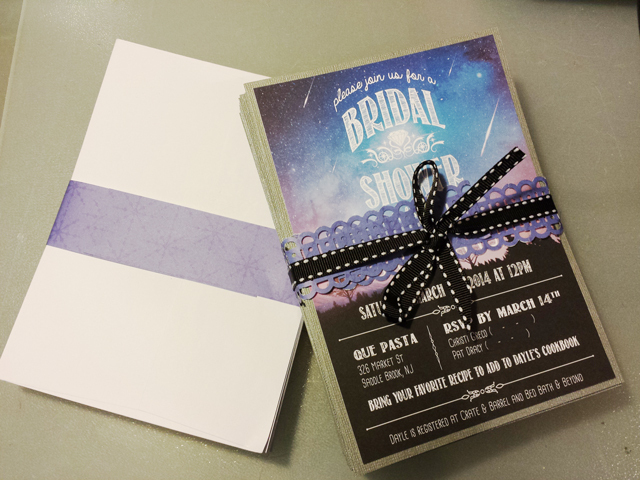 I took his design and dressed it up on some silver Bazzil card stock before wrapping it all up to drop off to the bridal party. Here they are ready to go! I snapped a quick picture on my phone before sending them off to the bridal party for addresses and stamps! Hi jolie! This is so beautiful!! Can you design a shower invite for me—this idea is exactly what we want!! Let me know! Dara. Absolutely! I can create a custom design for you in the same theme, just shoot me a message via my contact page with details of what you are looking for and we can work something out. Thanks!